Welcome to the Academic Catalog! The academic catalog provides current academic policies, procedures, recommended paths, course descriptions, and more information that is valuable to students. If you are new to our academic catalog and would like to learn more, take a guided tour through the Catalog User Guide . For further questions, please contact the Office of the University Registrar, 225-578-1686 or email Andrea Abad, abode@lsu.edu. My Portfolio - Allows you to save your favorite pages, programs, and courses. 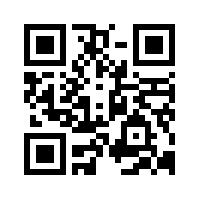 You can view the catalog on your mobile device by scanning the QR code below. After creating an account, use this icon to add courses, programs, or individual sections to your ‘My Portfolio’. Use this icon to share catalog material on Facebook and Twitter. Use this icon to easily print sections of the catalog. Use this icon if you need further information on how to use this catalog. The Degree Planner icon is located only on program pages. It provides a print-friendly page and checklist of the specific recommended path.